WordPress prompted for a sunset photo, but I have been posting so many sunsets lately. Still, a view of Pikes Peak never gets old. 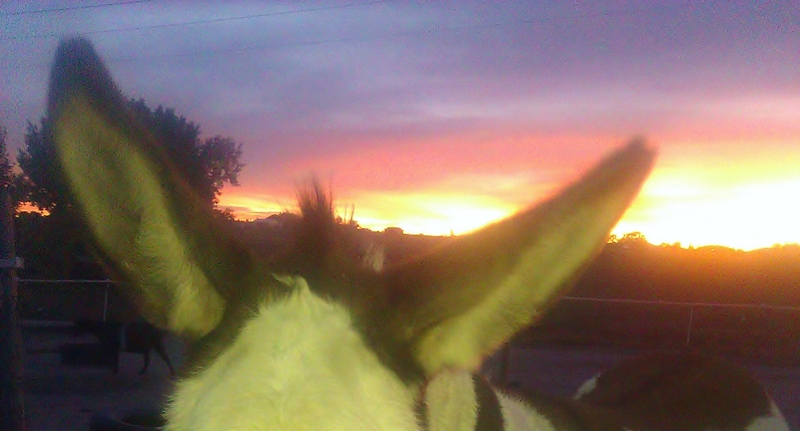 Especially improved with Edgar Rice Burro’s ears.